I remember when I was planning my first Cape Wrath Trail expedition a few years ago. I was desperate to find any information I could about the trail, from whatever source. The lack of one place to find everything I was looking for and the venerable nature of some of the guides prompted me to start writing the new guide. I remember being particularly keen to see photos of the trail. Although I'd walked extensively in some of the areas, there's nothing like seeing the terrain you'll be up against. That's one of the reasons I set up the Cape Wrath Trail group on Flickr, so we could build a collection of photos from the trail cataloguing each section. I hadn't quite bargained on the encyclopaedic contributions from @ttwff. I was astounded to find his superlative Flickr set containing more than 5000 shots from the trail. 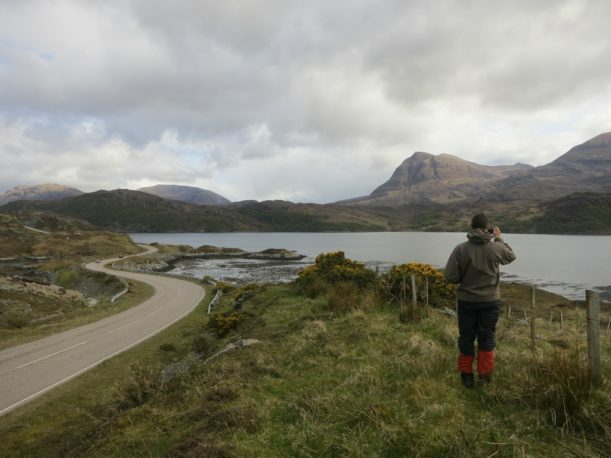 It is almost like having Google Street View for the Cape Wrath Trail.